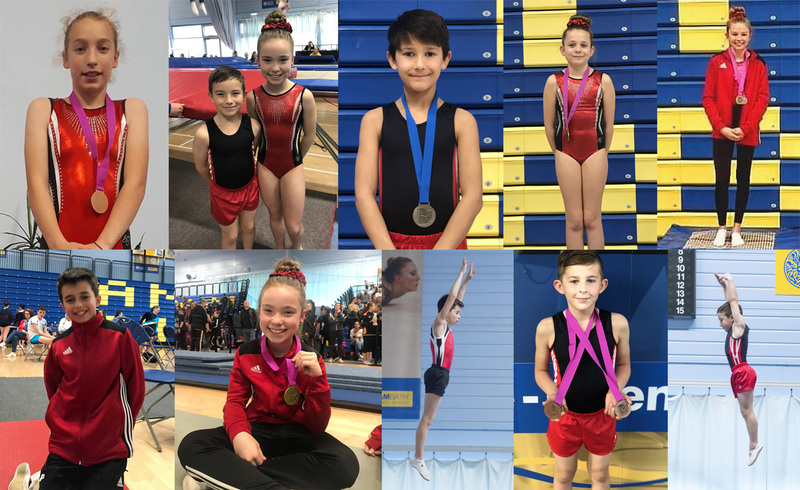 CITY of Plymouth Gymnastics Club secured 10 places on the South West team after impressing at the National Development Plan (NDP) Regional Qualifier in Bath. The event was the last regional competition of the season and the only opportunity to qualify a spot onto the South West team. The South West will compete at the regional championships which will be held at Birmingham in June. However, they will still be opportunities for gymnastics to qualifying for the national finals later in the year. City of Plymouth had 49 entries at Bath and enjoyed plenty of success. Their trampoline qualifiers were Billy Lucey (NDP 5 – 9-10yrs), Daisy Heal (NDP 5 – 11-12yrs) and Adam Lee (NDP 6 – 11-14 yrs). The club’s double mini-trampoline qualifiers were Aiden Walton – (NDP 1 – 9-10yrs), Evie-Rose Lacey (NDP 1 – 11-12yrs), Casey Hill (NDP 1- 13+yrs), Reece Marchant (NDP 2 – 11-12yrs), Billy Lucey (NDP 3 – 9-10yrs), Grace Parrott – (NDP 3 – 11-12yrs), Daisy Heal (NDP 5 – 11-12yrs), Adam Lee (NDP 6 – 11-14yrs).